Antiepileptic drugs (AEDs) are an important class of agents used in the treatment of migraine, a neurological disorder that imparts significant socioeconomic burden. It is important for neurologists to understand the rationale for AEDs in migraine-preventive treatment, as well as each agent’s efficacy and tolerability profile, in order to best determine clinical care. 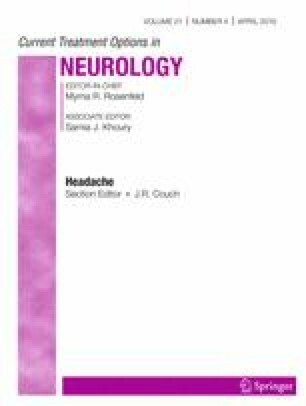 This article specifically provides the following: (1) a review of the mechanism of action, efficacy, and tolerability of topiramate and divalproex sodium/sodium valproate, the most widely used AEDs for migraine prevention, (2) a discussion on emerging evidence regarding the efficacy of zonisamide and levetiracetam, and (3) comments on gabapentin, pregabalin, carbamazepine, oxcarbazepine, and lamotrigine, AEDs which have insufficient evidence for use in migraine prevention. The potential role for new extended-release formulations of topiramate in migraine prevention is discussed. There is substantial evidence supporting the use of AEDs in migraine prevention. Specific agents should be chosen based on their efficacy and tolerability profiles. Further studies are needed to determine the efficacy of the newer AEDs, zonisamide and levetiracetam, in migraine prevention and to clarify the role of gabapentinoids in headache management. The research was partially funded by The Groten Family Fund. Stephen D. Silberstein reports personal fees from Alder Biopharmaceuticals, grants and personal fees from Allergan, grants and personal fees from Amgen, grants and personal fees from Avanir Pharmaceuticals Inc., personal fees from eNeura, non-financial support from Curelator, Inc., grants and personal fees from electroCore Medical, LLC, grants and personal fees from Dr. Reddy’s Laboratories, personal fees from Medscape, LLC, grants and personal fees from Teva Pharmaceuticals, grants and personal fees from Supernus Pharmaceuticals, Inc., grants and personal fees from Eli Lilly and Company, personal fees from Theranica, non-financial support from Trigemina, Inc., outside the submitted work. Simy Parikh declares that she has no conflicts of interest.